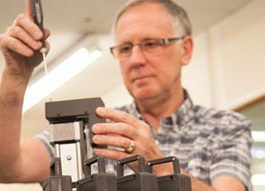 Prior Scientific is an exciting and innovative global leader in the design and manufacture of precision instrumentation and optical systems. 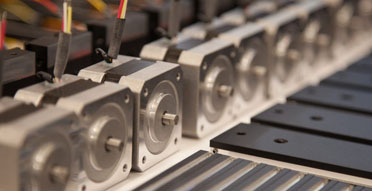 We produce precision components, microscope automation solutions and OEM solutions. You can view our latest vacancies below, but at Prior we believe in employing the right people is more important than fulfilling any specific vacancy, so if the right people are interested in working for us we will consider applications. 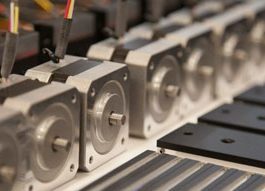 Working in Prior’s state of the art machine shop the Machine Shop Manager’s role is to lead the Machine shop staff in producing high quality precision machined parts in low to medium batch sizes. 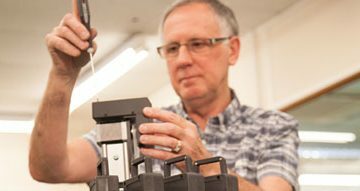 The manager must have a complete understanding of machine shop practices in both manual machining and CNC machining environments. The Machine Shop Manager will report to the Production Manager. • 5 years recent history of managing Machine shop activities with CNC milling and turning machine centers. • Experience of supervising staff in a multi shift machine shop environment. • Experience operating manual and CNC machine tools including setups and programming. • Hands on experience driving continuous improvement initiatives. • Oversee, supervise and coordinate multiple shifts. • Ensure accurate staff and machining center time reporting. • Monitor budget vs actual machining times for machined components. • Recommend measures to improve production methods, equipment performance, equipment purchases and quality of product. Suggest changes in working conditions and use of equipment to increase efficiency of shop, department, and staff. • Interpret specifications, drawings, and routings to associates/machining centers, and assigns duties and materials. • Ensure parts meet specification and lead optimisation of setup and adjustments of machines as well as CNC programming optimisation. • Work with the planning department to agree and deliver weekly machining schedules. • Enforce company policies and safety regulations. • Proven ability to motivate, train and develop staff at all levels. • Understand fundamentals of an MRP/ERP software systems. • Proficient in machine tool programing using Fanuc, Yasnak and Mazatrol. • Knowledge of PC based programming tools, preferably AlphaCAM. If you would like to apply then either email your CV to careers@prior.com. Prior Scientific operates a Preferred Supplier List (PSL). Please do not submit CV’s to Prior Scientific unless you are part of the PSL and have been engaged regarding a specific vacancy. CV’s submitted without consent will not be eligible for any recruitment / introduction fee and will be considered the property of Prior Scientific. Please also note that agencies are not permitted to contact line managers directly via email or phone.